Jonathan is an ordained Deacon in the United Methodist Church and a Board Certified Chaplain. He works for the Faith and Health Division of Methodist Le Bonheur Healthcare and coordinates the work of the Faith Health Collaborative. He holds degrees from the University of Georgia and Duke University. Sydney Holmes is a second year student pharmacist at UTHSC’s College of Pharmacy in Memphis, TN. An advocate for the profession of pharmacy and patients alike, she is focused on cultivating a new healthcare standard to emphasize the needs of underserved patient populations while integrating spiritual, emotional, and physical wellness. Kristen Lowe is a second year pharmacy student at the University of Tennessee Health Science Center. She believes that her faith and passion for serving others go hand in hand and can be used to improve care. As a College of Pharmacy Vice President of FHC, she plans to not only reach out to those in need but also to other healthcare professionals that can make a difference in underserved communities. Bekah Honce is a native of West Virginia and a third year graduate student in the Integrated Biomedical Sciences program. She has been attending Christ United Methodist Church since moving to Memphis and believes that science and faith are not exclusive and can work together to advance healthcare. Hanna Akalu is a fourth year medical student at UTHSC who is from Addis Ababa, Ethiopia. She strives to one day provide medical care to the under-served population of her community that is centered on faith. Hanna believes that when one integrates the creator into one’s work, it allows oneself to better serve the creations. For FHC, she hopes to inspire her fellow classmates at UTHSC to serve their community that has gave them so much. Sunanda, nicknamed “Sunny”, is a third year medical student at UTHSC from Memphis, Tennessee. She believes that effective medicine is a dualistic approach that consists of both physical and metaphysical healing—the union of the mind, body, and spirit, which necessitates a deep and respectful knowledge of religion. Lauren Martin is a third year dental student at UTHSC from Forrest City, AR. She is passionate about providing the best of modern dentistry while incorporating faith-based practices. She strives to one day incorporate such practices in her community while she works to serve the underserved. Chelsea Schwind is a third year dental student at UTHSC from Obion, Tennessee. She grew up in a small town with a large underserved population and desires to provide the best care in areas where dental service is limited. She aspires to serve others in her local community and also globally in an effort to show others the God she serves while also giving them a reason to smile. Michelle Hammett is a second year Physical Therapy student at the University of Tennessee Health Science Center. She is committed to lifelong learning and excellence, which includes learning how to effectively incorporate faith into her healthcare practice and being consistent in looking for new ways to love and serve the community. Rev. Dr. Albert Mosley is the Senior Vice President of the Faith & Health Division at Methodist Le Bonheur Healthcare and chairs our Board of Directors. 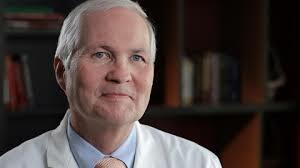 Dr. G. Scott Morris is the CEO and Founder of Church Health. He is an MD and a United Methodist minister. Rev. Dr. Birgitte French is the pastor at Crossroads United Methodist Church and also a former campus minister at UTHSC. Rev. Dr. Stacy Smith is the Director of Education and Innovation in the Faith & Health Division of Methodist Le Bonheur Healthcare. Rev. Rhonda Gilligan-Gillespie is the Clinical Pastoral Educator at Methodist Le Bonheur Healthcare. She is also the Co-Director of the Center of Excellence in Faith and Health at Methodist University Hospital. 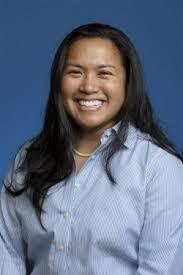 Dr. Nia Zalamea is a general surgeon with Methodist Le Bonheur Healthcare and an Assistant Professor at UTHSC. Dr. Mohammad K. Ismail is a practicing gastroenterologist and an Associate Professor at UTHSC. Dr. Judith Nyabando is an Associate Director in the Office of Institutional Effectiveness at UTHSC.